As part of a continuing campaign by Enderby Parish Council to secure the future of Enderby Library, the Council is inviting residents to a meeting where it will outline its plans and detail how members of the community can be involved. The decision to proceed with an application to run a Community Library in Enderby was taken at a Council Meeting earlier in the year and following an in-depth public consultation to gauge support for a Library in Enderby. In January 2014 Leicestershire County Council announced it intended to “protect” its 16 bigger libraries but wanted to save up to £1.4 million a year by transferring 37 of its smaller branches to communities. Where nobody comes forward there is strong possibility the Library will disappear. 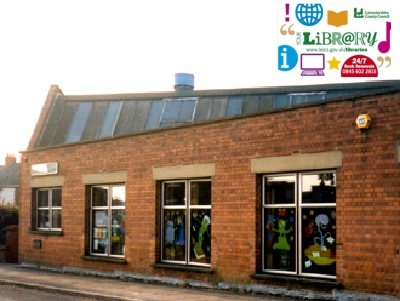 The Parish Council stepped-in following Leicestershire County Council’s decision to close a number of its libraries unless the local communities affected undertook to ‘take over’ their libraries and run them in partnership with the County Council’s Library service. The meeting will take place in the Civic Centre on Thursday June 18th 2015, commencing at 6pm. Members of the Parish Council’s Library Working Group will be present, as will representatives from Voluntary Action Leicestershire who are working with the Parish Council in formulating a sustainable business plan.